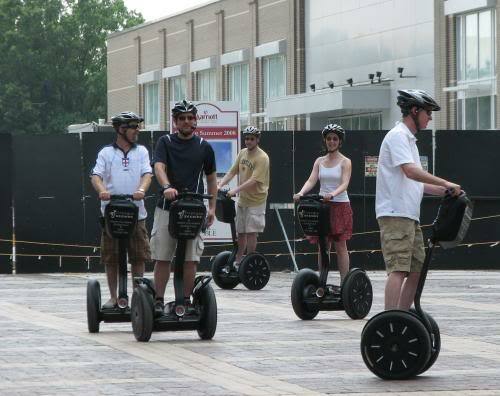 The Segway Tour route will have to change due to City Plaza’s construction here starting in a month or 2. ← Previous Post What Should The Multi-modal Transportation Center Be Like? How does a person sign up for a Segway tour? I just wish the Segway tours weren’t so expensive. Hey! That’s us! I don’t remember signing a “model” release form. Seriously, the Segway tour was well worth the money. All of us had a grand time for well under a grand.